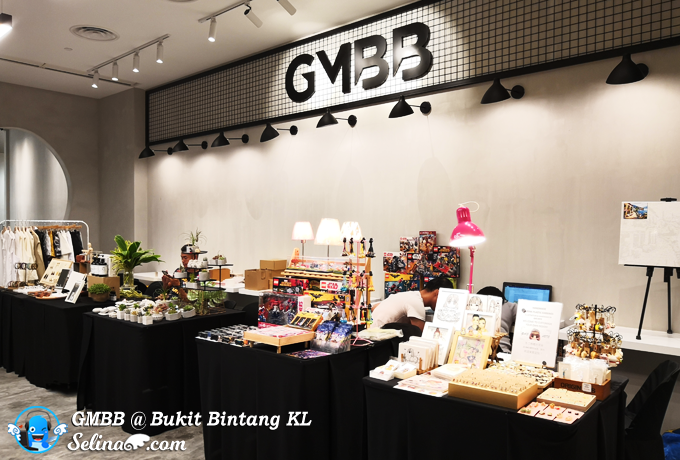 GMBB is the new Creative Retail Mall that open door to the Creators, Designers, Illustrators, Enterprisers, Artists, and Makers to join and exhibit their art, design & products with their skills at the Bukit Bintang, Kuala Lumpur. 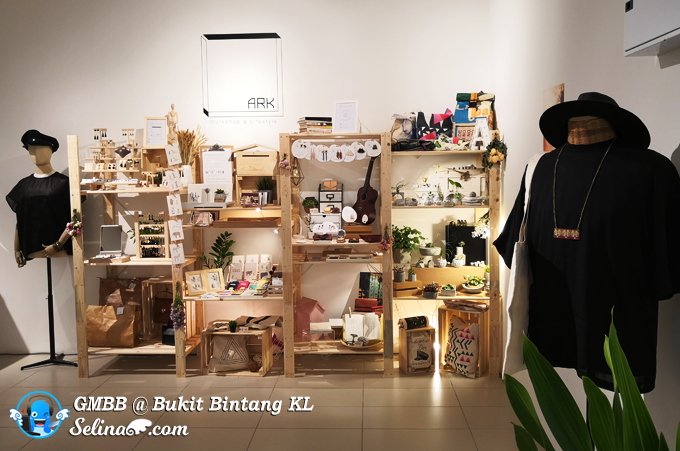 It's a Asia's design hub and shopping mall with the creative markets. 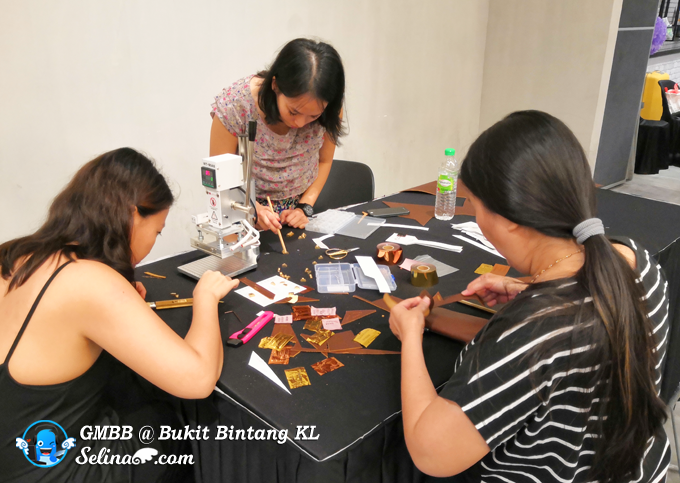 GMBB encourages the Malaysian local art designers and crafts community to inspire everyone to learn a new creative skill through their creative workshops. 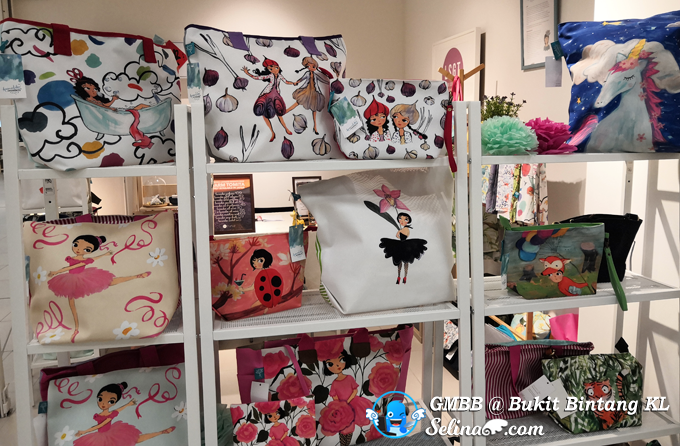 "GMBB is the first commercial mall that is fully branded around artisanal, creative retailers. 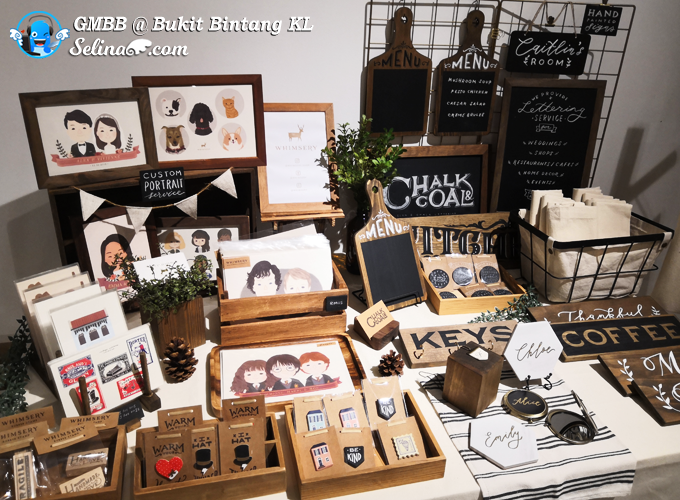 A space where creatives come together as one that has the same mutual goal. 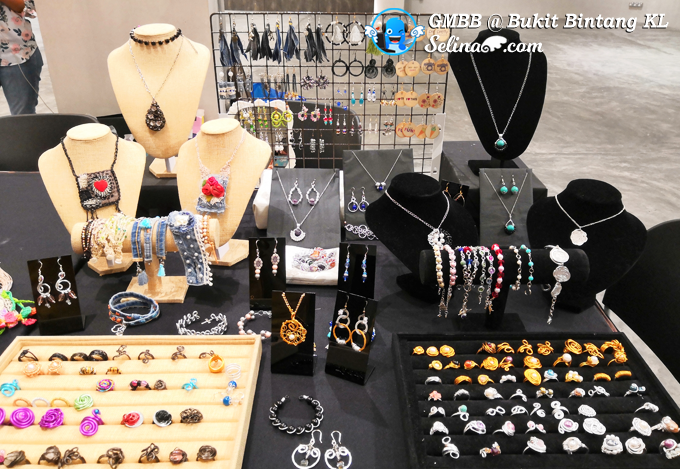 It will be a trend-hotspot where consumers will see the latest designs and artistic trends." 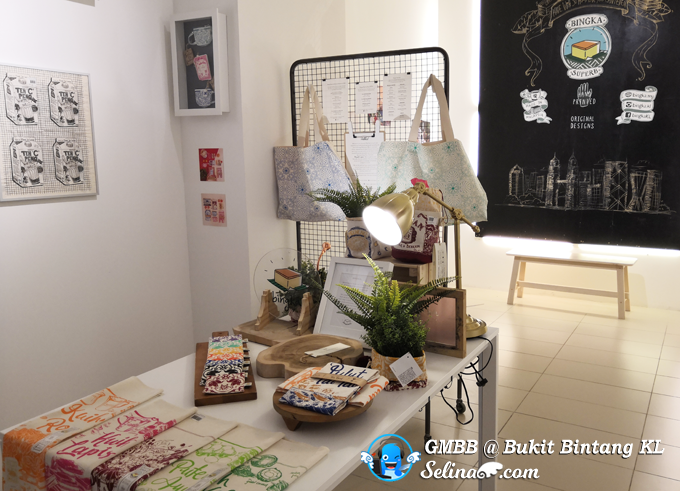 GMBB has a variety of pop-up stores, creative workshops, showcases and food stalls. 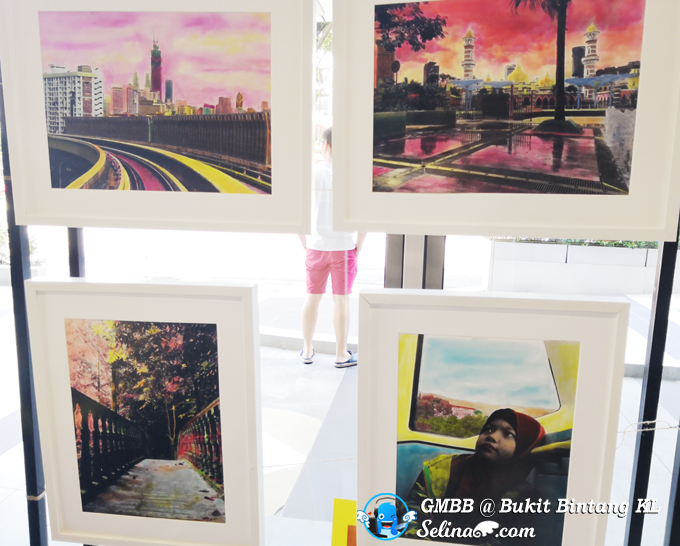 They also have art exhibition and learning workshops on every weekends hosted by the talented artists. 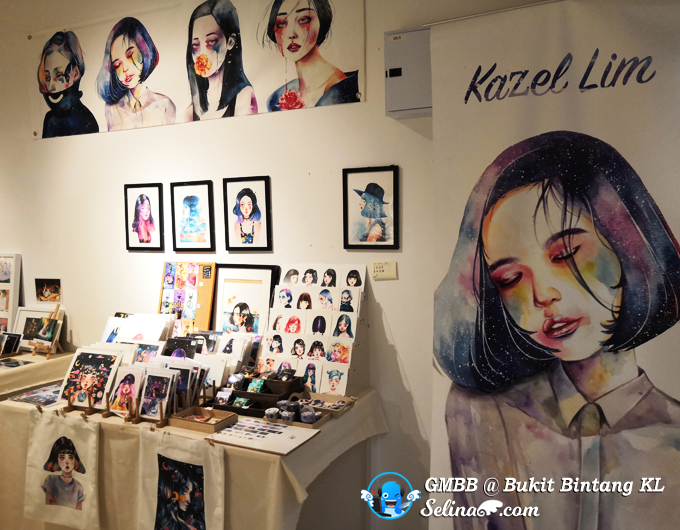 Through the 108 Projects' exhibition, my good friends and I are inspired by the art exhibition, and we talked about how the artists express their creativity through different form of arts. 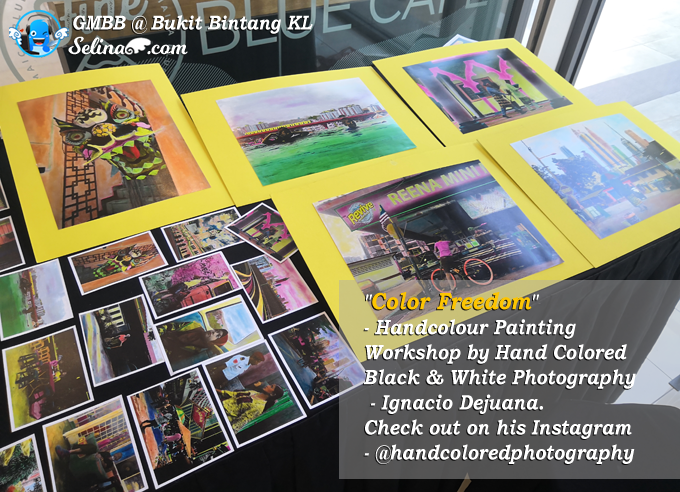 They encourage the young generation to have self-expression through freedom of creativity. 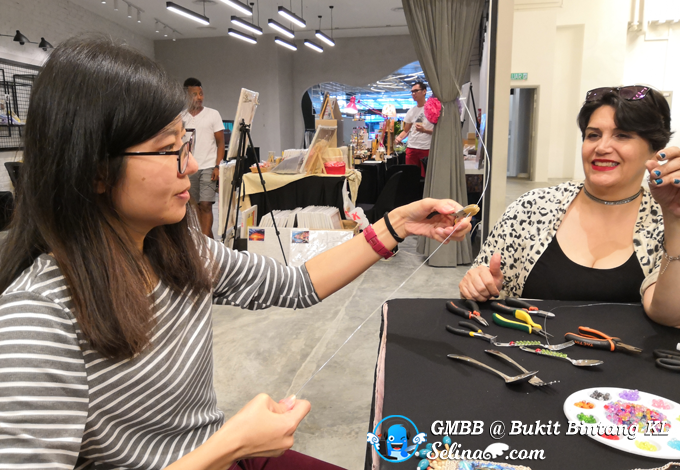 When we explored around the Blossom Workshops - Good Market, there are many workshops that are very interesting, such as hand-colouring photographs with watercolours, candles making workshop, wire wrap serving spoon design, sewing workshop, rubberstamp workshop and many more..! Maybe you may not be naturally gifted with creativity or artistic talents so you dare not try? 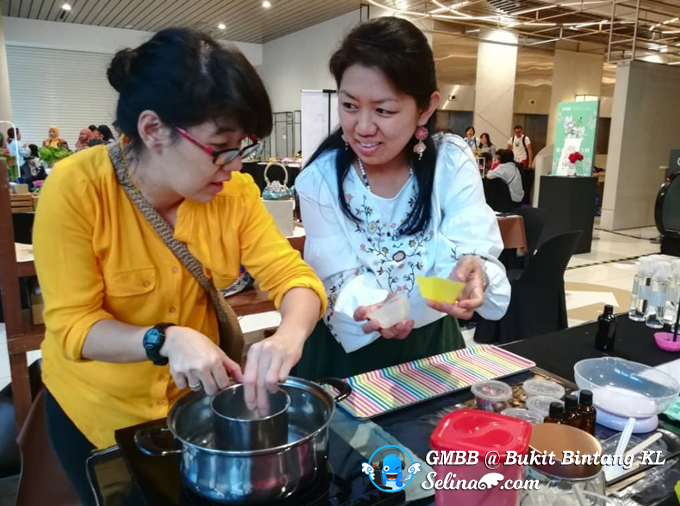 Believe it or not, a lot of the beginners can learn new creative skill and do it really well! - Make me recall when I studied my drawing course! Now I used my digital art & design. 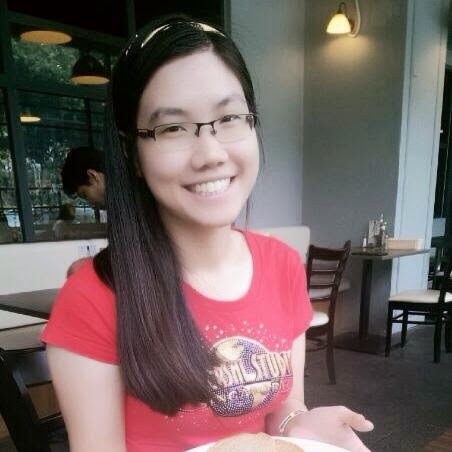 My good friend, Woan koon who is nervous because she is first-time learning about how to do at the workshop! 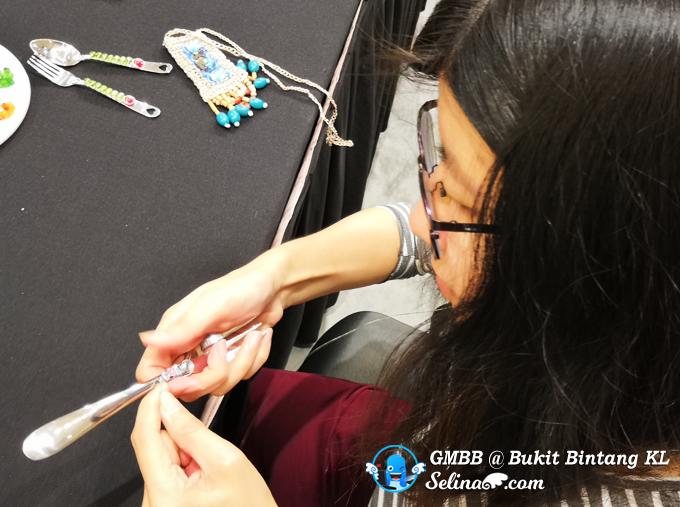 First, she prepared a spoon for Woan koon to use a piece of wire...She guided Woan koon to learn about how to wrap around few times when she hold a spoon with the beads... Be patient when you are doing it slowly. Wrap the wire around after each bead to ensure they are held in place well. Almost done! 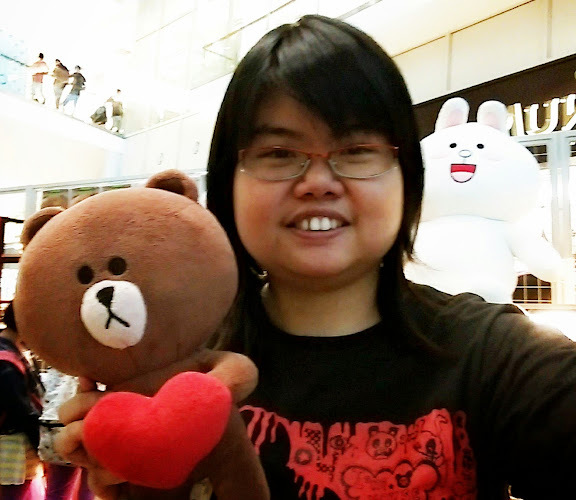 Good job, Woan Koon! 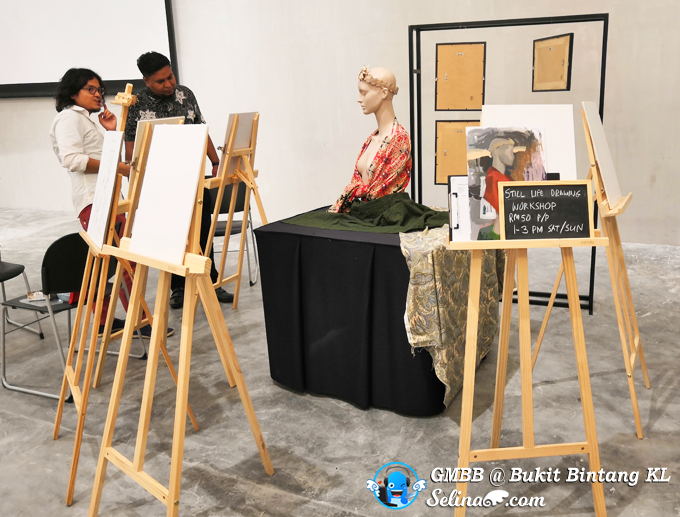 Take your kids to experience the art exhibition in GMBB, cultivate their new interest into the art & design by learning from the talented designers. 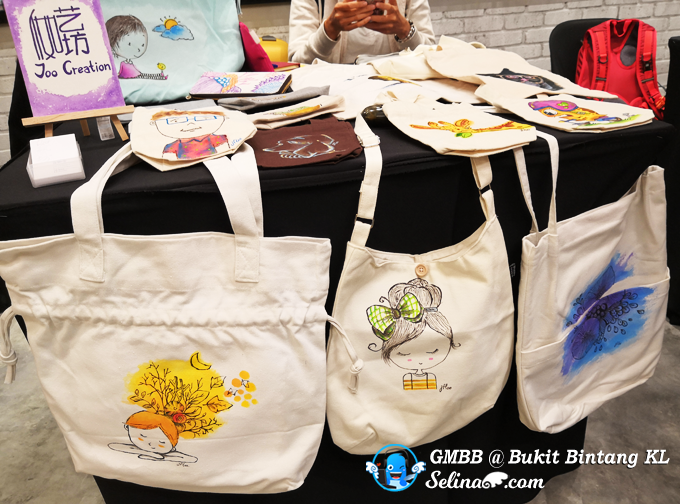 It helps your children to express themselves freely, without worrying about what others think! 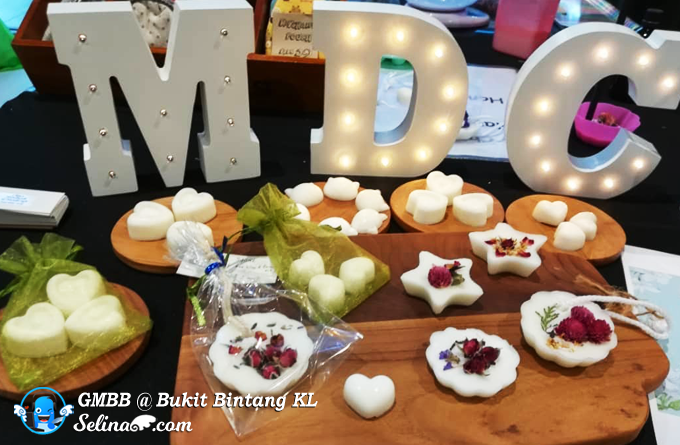 For the fans of arts and crafts, you can visit many artists and craft makers' workshops and retail stores, and buy their products. 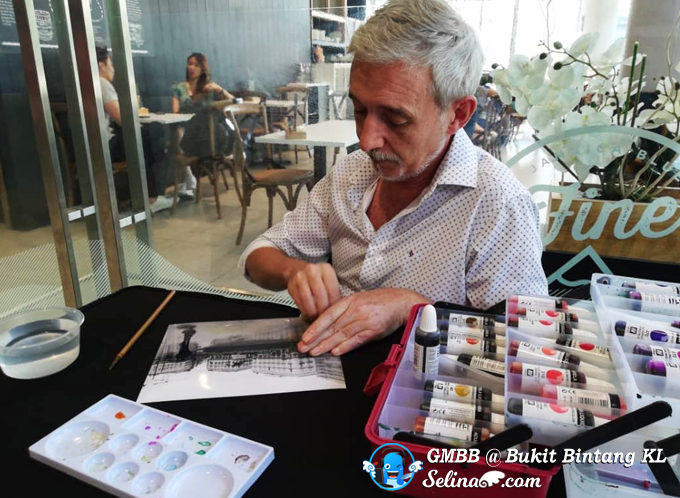 Wow, first time I heard about we can paint on the black and white photos with water colour paints. We listened as Ignacio explained how he captured all photos as he love photography very much. It started when he was staying in his hometown. So this is my first experience of Hand Colouring on the black & White photography! 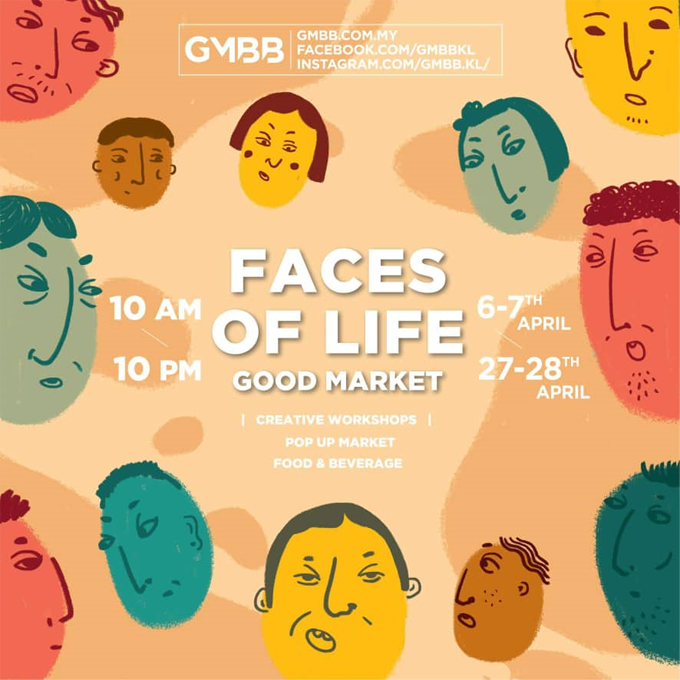 The creative workshops curated this weekend, satisfy your hunger for new skills at Good Market's Blossom. 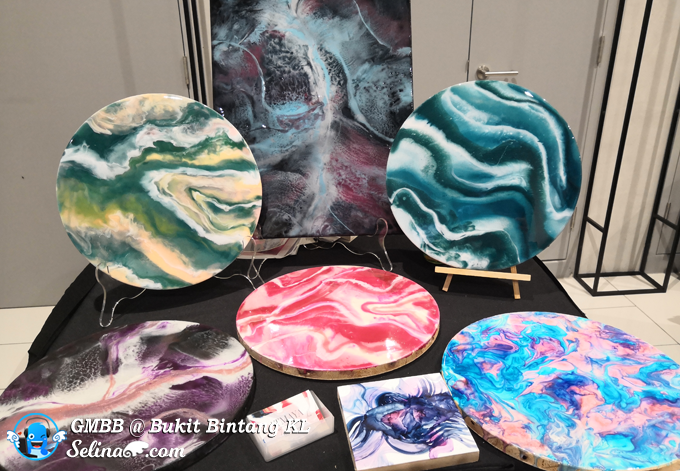 It helps to build your kid's talent to visualize and imagine their beautiful art & design which they wish for... The Creativity community believe the creative market and workshops will make the next generation of designers, and creators can learn from the best. Oh my! 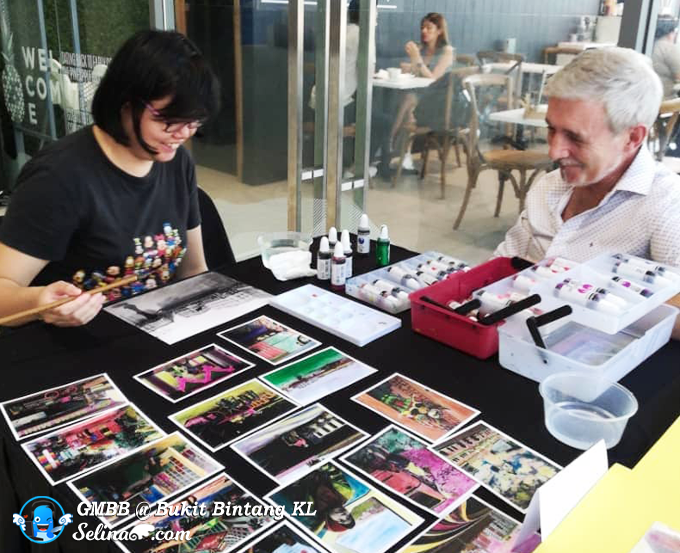 I missed the process of my friend, Kimberly do the candle workshop at same time, as I was busy focusing on my painting with Ignacio, who is an artist at his workshop. 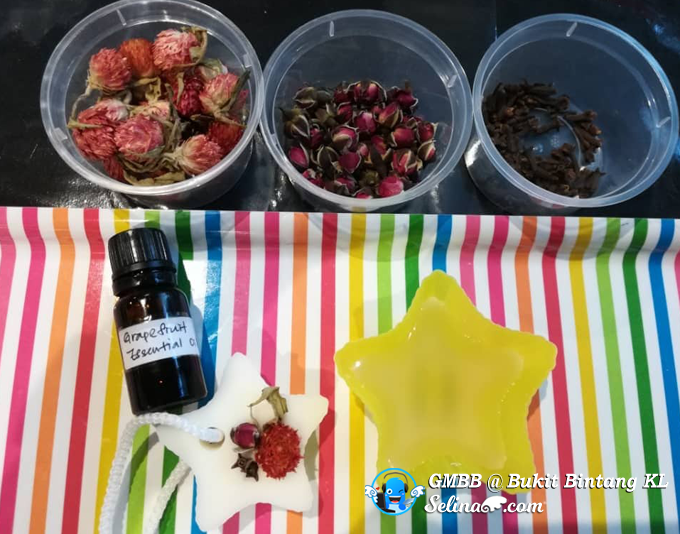 My friend enjoyed decorating her handmade candle very much. 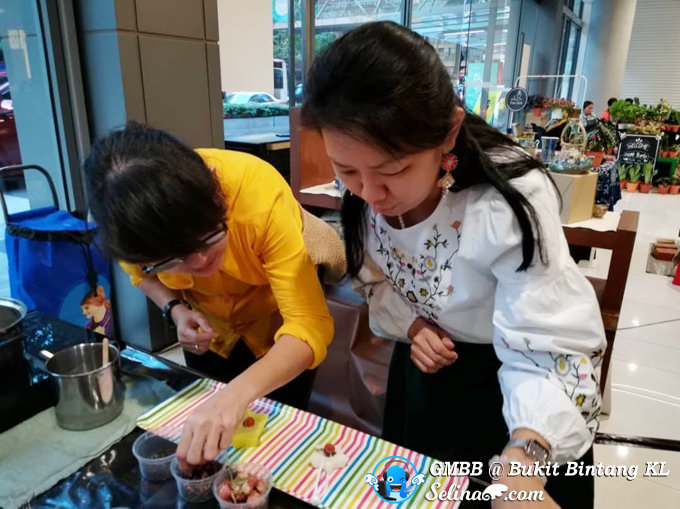 Kimberly told me that next time, she will bring her lovely children come to visit GMBB again! 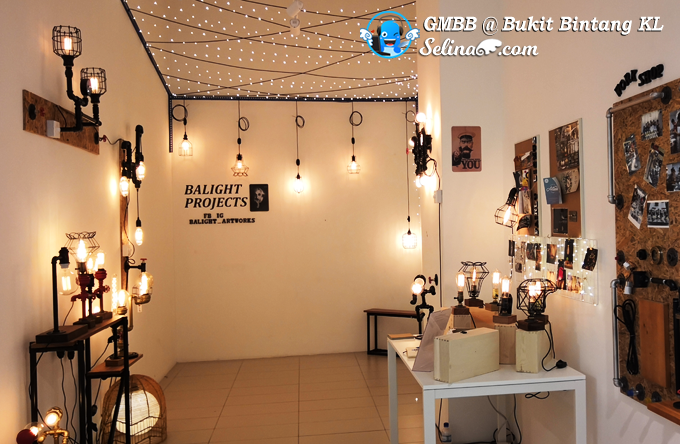 Meet the designers and see some of their intelligent and innovative work at GMBB Mall on next month, April 2019 - 10am till 10pm. Free Admission! 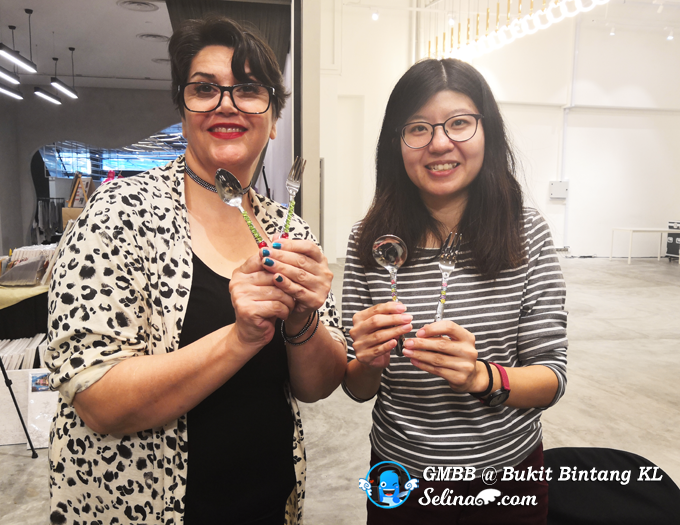 Have you wondered about how we went to GMBB Mall, along Jalan Robertson in Bukit Bintang, Kuala Lumpur? 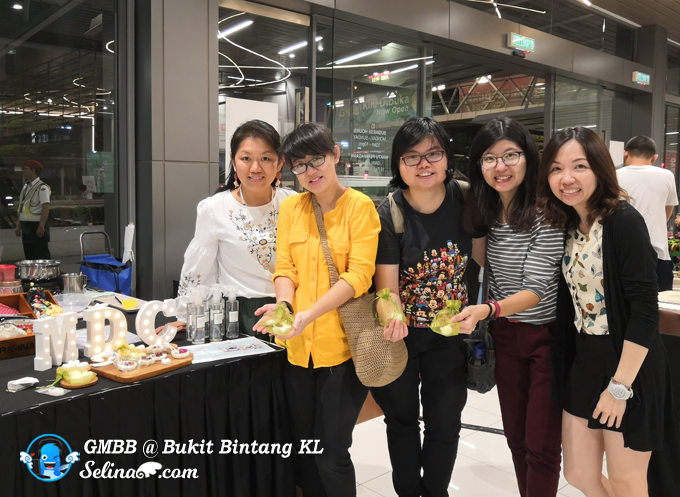 - Take LRT then reach the Hang Tuah station and walk for 10 minutes to GMBB. 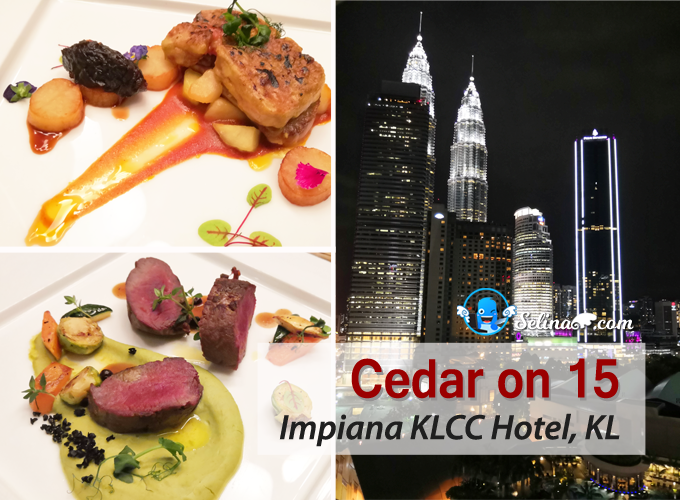 - If you felt hot weather when you are walking, you can take GRAB car, just RM3 - 5 as depends on the time and traffic only, after you reach the Hang Tuah station. Or use your Grab from home to arrive GMBB. When you decide to drive your own car, please park at GMBB Mall.